Open synovectomy and excision of dozens of loose bodies. 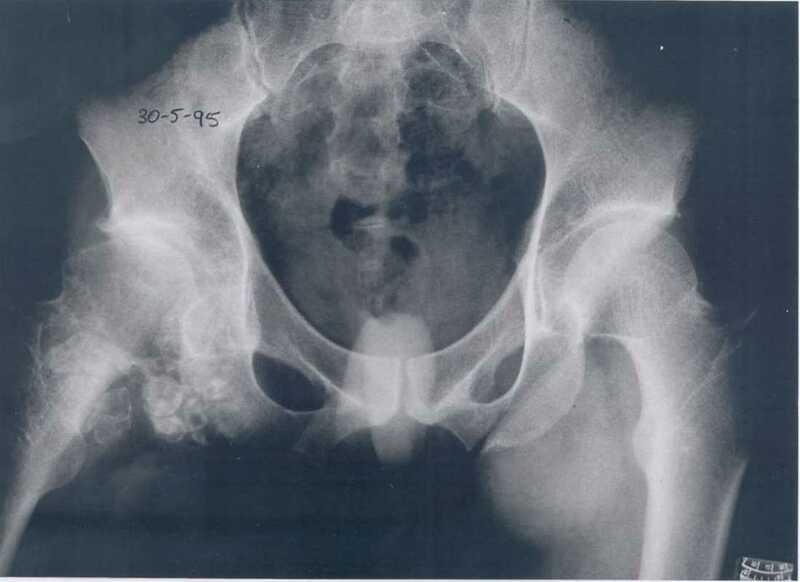 Secondary chondrosarcoma arising from right hip and extending to surrounding muscles. Wide resection internal hemipelvectomy with iliofemoral arthrodesis.